Submissions to Inquiries Journal are accepted on a rolling basis. Start by completing the below registration form, after which you will make your submission(s) using our online interface. If your work is selected for publication, this information is used for your byline and author biography. Degree and Graduation Year: What type of degree are you pursuing and what do you study (major/concentration)? If you've already graduated, indicate your most advanced degree and course of study. This information is private and used only for personal communication with you about your account. You will receive notifications about the status of your submission to this address, in addition to using it as your username for logging in to your account. Create a new password to access your account. Optional How did you hear about Inquiries Journal? Who publishes in Inquiries Journal? Roughly 60% of the submissions we receive are from undergraduate students, while an additional 40% come from academics at the graduate level and beyond. Our publication is open to submissions from scholars at all stages of their academic career (undergraduate and above). There are no formal length requirements, however it is unlikely that we will accept submissions below 1,500 words. Most submissions are between 2,500 and 7,000 words. Longer articles are considered although we may request revisions to abbreviate very long works. Are you interested in my paper on (fill in the blank)? 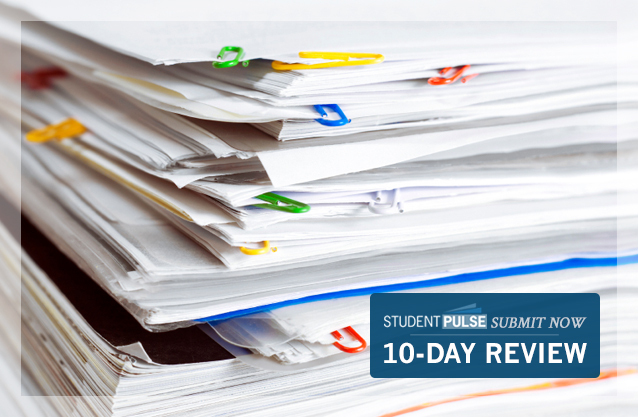 The only way for us to assess your paper is through the formal submission process. Current review times average between 3-6 months depending on the current volume of submissions under review and the time of year. If you would like a decision more quickly, we offer the option of an expedited review.